Baby dolls, princesses, Barbies, stuffed animals spilling out of the closet… My daughter has all of these and more. She’s at that stage where she has all the toys she actually wants, but she doesn’t want just clothes or the electronic gadgetry that teens like. There is one thing she can never have enough of — craft supplies. 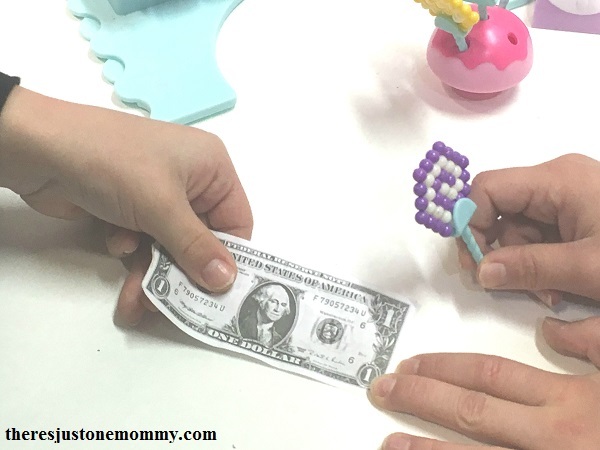 She loves getting out the beads, glue, and pipe cleaners and using her imagination. But I don’t always appreciate the mess that is left behind. Last year she asked for Beados, and I have to admit, I was hesitant. I kept thinking of all those itty-bitty colored balls rolling everywhere. But when she sat down with her set, huge smile on her face, and started to create…I decided we had made the right decision. (And the tiny beads stayed in their containers instead of rolling everywhere.) Her favorite part? With Beados, kids can create their own unique characters and designs as easy as 1-2-3. 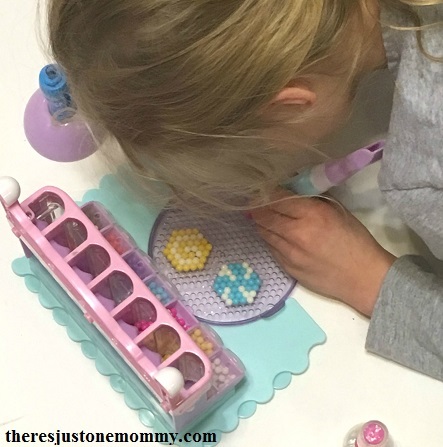 Kids simply choose their template, add the beads and spray them with water. No heat, no glue, no mess! You can even skip the suggested designs and create using your own ideas. This year the gift of Beados gets even sweeter for the holidays with the Beados Scoop ‘n’ Mix playset, where kids can create all their favorite sweet designs on the candy cart. 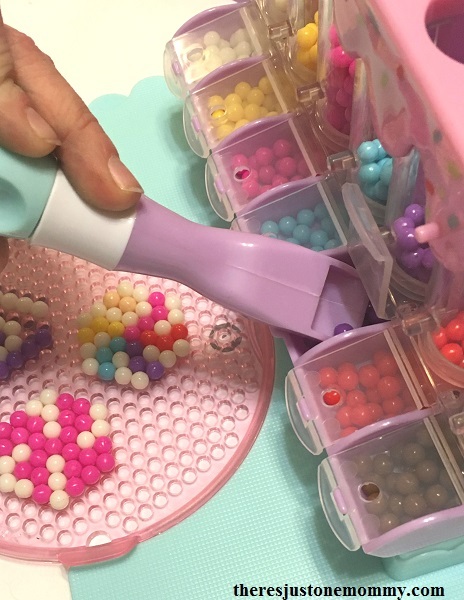 My daughter loves using the scoop to get the colorful beads out of the mini candy dispenser. Her only complaint is she wishes the scoop on the pen had a flip lid she could close so the beados wouldn’t fall out when she tilted it too far sideways. A piece of clear tape across the top worked perfectly. The set came with one tray to design on, but we’ve had several other Beado sets, so she pulled all the trays out and spent the next hour creating colorful treats. 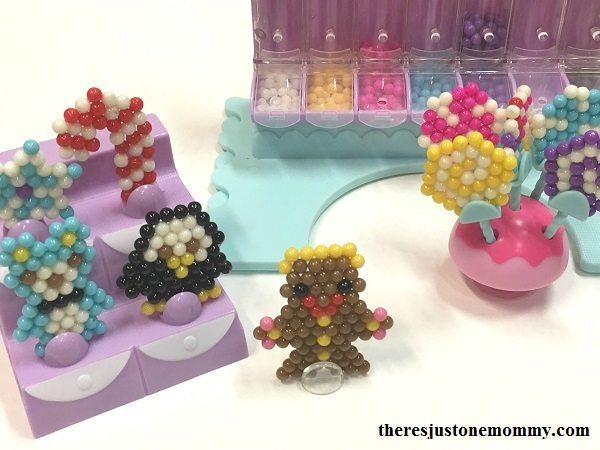 Once the creations dry, kids can pop their designs on the lollipop stand or on the shelf to create a tasty display. Beados are perfect for inspiring creativity, something I look for when shopping for children’s gifts. They are recommended for ages 5 and up, and since they do contain small parts, I wouldn’t recommend them for kids that still put things in their mouths. 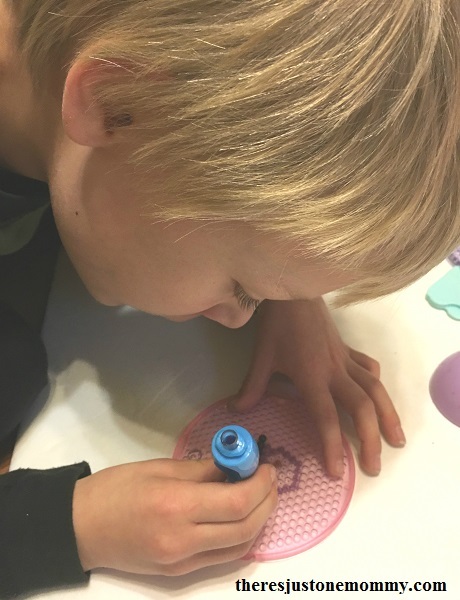 While they are certainly geared towards girls, with their pastel colored beads and pink and purple accessories, if they are anything like my son, brothers will probably want to try their hand at designing, too. Moose Toys is bringing the smiles this holiday season with their top toys that inspire imaginations and creative play. Give the gift of creativity this season with Beados.